 Peter Danforth and Dave Grippo on horns. ; lyric changed to "Move over, Rover, and let Cameron take over." 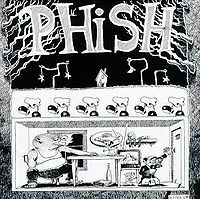 First known Phish performance; Peter Danforth and Dave Grippo on horns, "Vincent" on trumpet. 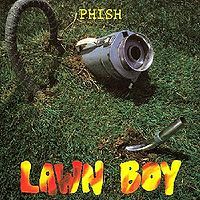 This gig was a party at the home of local Burlington musician Peter Danforth and included the first known performance of Weekapaug and No Dogs Allowed as well as the first known Phish performances of Walk Away and Blue Bossa. This version and the next known version of No Dogs Allowed (released by the band on Colorado ’88) concluded with a substantial section of Divided Sky. Fire, Satin Doll and Blue Bossa featured Danforth and Dave Grippo on horns. Blue Bossa also featured "Vincent" on trumpet and Slave also featured Danforth on saxophone. Forbin's through Bold As Love, The Curtain With through Wilson, Antelope, Alumni, Letter To Jimmy Page, YEM, and Contact all featured an unknown additional percussionist. After Weekapaug, Fish teased both Weekapaug and Peaches on the drums. Lizards included a Mockingbird tease from Page. Fire's lyrics were changed to "move over, Rover, and let Cameron take over." Terrapin contained a Fish trombone solo. As the show begins, you're immediately stuck with the thought that this show could definitely be in contention for best of 1988 (whether or not this is a prestigious honor is up for debate). The show starts out rocking and rollicking towards 5-star-land, but falls off a bit after the second set With->DEG->With. 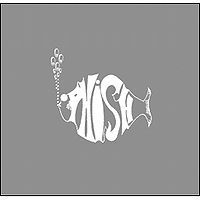 First set highlights include some great debuts and some notable editions of classic Phish: Walk Away is spicy, No Dogs Allowed is great and includes a sizable portion of what we know today as Divided Sky. The Mike's has a cool intro, and leads into a pretty Hydrogen which is, as is now customary, the bridge to Weekapaug (another debut). This Weekapaug is slow and fairly unexceptional. Lizards is played well, as is On Your Way Down, a definite highlight of the show. Everything else is pretty standard, although the Fire has a little extra something on it, what with the horns adding a bit of flavor to the mix. 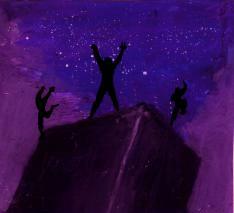 Oh, I almost forgot, the Jam that precedes the show is not to be overlooked. It's a very good Jam. The second set contains a discordant and furious Curtain With -> DEG . It's definitely the highlight of the show, which you likely already know, because you're reading this page and noticing the recommended version in the setlist. Everything else is somewhat skippable, but if you're a Harry Hood fan, that would certainly warrant a look. I'd give this show 4 stars as a show in 1988. There's definitely enough here to give it a listen, but this is a very long show, and ultimately may not be able to hold your attention throughout the somewhat (surprisingly) dull third set.